We offer the best discounts on the BIO MEDICI Magnetic Pulser which was developed by world-renowned scientist Dr. Wolfgang Ludwig of Germany. It is one of the most effective devices on the market, which you can now obtain for an economical price. This miniaturized 9-Volt battery operated Magnetic Pulser generates sufficient energy to obtain a real therapeutic effect. Compare to the TENS units. The Magnetic Pulser simulates the life essential Schumann waves, which are found in the atmosphere and are close to our alpha brain waves. There are very few scientists who are aware of the importance of this frequency as a tuning fork of life. The Magnetic Pulser delivers a broad frequency spectrum of positively, harmoniously and bio-magnetically stimulating impulses. A methodically designed "Pulsed Magnetic Therapy" device can provide balance. But be aware: Pulsed Magnetic Therapy can be totally worthless for users if not all components are in place. The outcome in double blind tests is sometimes not favorable for Pulsed Magnetic Therapy because tests may have been performed with one of the many low quality products out there! The building blocks of your body need daily mixtures of Magnetic-Electrical Signals accompanied by the proper Vibration/Harmonies in order to function properly. When you look at any object through a high-powered microscope you will see the building blocks of the universe; electrons, protons and neutrons- circling each other at high speed. In fact everything that we see is but "crystallized" energy. If we move one dimension deeper we find sub-space particles. Another dimension lower is the "Zero Point Field Energy". That is the endless energy reservoir from which all energy derives. Pulsed Magnetic Therapy reminds our body cells to return back to the source called the "Zero Point Field Energy". It reminds our body to be in a 100% balanced state of harmony and vibrancy. Pulsed Magnetic Therapy is the tool to rejuvenate, recharge and cleanse our cells as well as expel diseases by reinforcing our immune system. Pulsed Magnetic Therapy has shown that it can eliminate energy blockages responsible for many health problems. People have reported relief from different types of health ailments like arthritis, insomnia, lower back pain, cramps, inflammation, diabetic ulcers, and more. So in short, the body gets help to help itself, and our body can be rejuvenated, just like our brain and body cells can form new ones, or our skin sheds every moment revealing new skin underneath. 1. Switch Settings for the BIO MEDICI "Magnetic Stimulator"
The BIO MEDICI "Magnetic Stimulator" is equipped with eight switches. The device is switched ON/OFF by means of switch 8 (the furthest - in the front of the device – to the right). The other seven switches are used to select the desired setting for the treatment program. Please consult the Switch Setting Table. Read cautions. 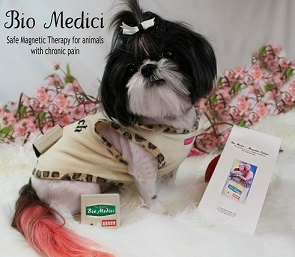 Switch the BIO MEDICI "Magnetic Stimulator" ON using switch No. 8 (press down top end of toggle switch) and an additional switch or switches per the chart (the light starts to blink). Set the selected switch (or switch combination(s)) according to the Switch Setting Table. For example, in the case of migraine/headaches, you can select switch 4 (plus switch 8 for ON) or switches 3+5 (plus switch 8 for ON). Migraine and headaches may have various causes, so if the settings just described do not produce the expected relief, it is advisable to try the treatment setting for pain acute, chronic pain. The underlying causes of the migraine or headaches may also be poor cerebral circulation, vascular spasms, muscular tension or stress or a C1 disk issue in the neck. Attention: You can unhesitatingly use the "Magnetic Stimulator" for several hours a day and also while you sleep during nighttime. Overuse (i.e. : 24/7) could decrease the effectiveness of the treatment. When the word "or" is given between the switch numbers, this means, that you should try both settings in different sessions. The physical condition and controls will differ from person to person! The suggested switch settings on the adjustment table are a general guide. Find out YOUR personal switch setting to achieve the best therapy results. If you are not sure which setting is best for you do not hesitate to experiment with various possibilities. All the switch settings can be tried out without risk and unwanted side effects. You will soon discover which is the best treatment setting for you. 2. How To Apply the "Magnetic Stimulator"
The BIO MEDICI "Magnetic Stimulator" should be placed as close as possible to the point of treatment. The Magnetic Stimulator emits stimulating biomagnetic impulses in all directions (in a radius of 4 in. / 20 cm diameter) penetrating through nearly all materials. A) Use the "Magnetic Stimulator" in its flexible tube. Slide the device to the middle of the tube, wrap it around the area to be treated and secure the whole assembly by tying it into a knot. B) Use the "Magnetic Stimulator" in its carrying pouch to treat: Solar Plexus, general body treatment, asthma treatment, chronic asthma, emphysema treatment, nausea treatment, nervousness anxiety, PMS symptoms, neurological disorders, stress problems, stomach disorders, sleeping disorders, old age symptoms. Call or email for info on shipping costs and discounts. When a more serious problem arises; we recommend the popular magnetic therapy device BIO MEDICI, that is inserted into a 'wrap' (see picture) and has proven its effectiveness for many different health ailments. http://www.backpaintreatment.ca/ ---- From all the discussed back pain treatment options, Pulsed Magnetic Field Therapy treats back pain in an unconventional way. This back pain treatment has a 25 year long history. 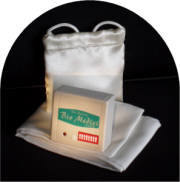 The Bio Medici is also one of the most efficient back pain relief devices on the market (see "back pain treatment # 9"). Learn more about it and why the investment pays off in a short period of time. Start your back spasm treatment as soon as possible by placing the device on your back. Use the carrying Tube of the device to place it exactly over the most painful area. Spread-out the treatment intervals 6 times a day using the switch setting 1+2+3+8. Each treatment can be 45 to 60 minutes. It is important to have breaks between each treatment session(s) to achieve the most benefits from the device. VERY IMPORTANT - READ THIS NOW !!! The warranty runs for a period of one year from the date of purchase. During that time, repairs will be carried out and parts replaced free of charge if a defect occurs in the course of normal operational use. Devices used commercially (e.g. in hospitals, treatment centers, senior citizen's homes, etc.) are covered for a period of 6 month only. a) The device is repaired, serviced or modified not by the manufacturer. b) The device fails due to accidental damage or neglect. The Bio Medici should not be used by persons with pacemakers, by pregnant women, or after myocardinal infarction. Caution is also advised in those cases where your symptoms should first be examined by a doctor or when additional treatment is required which must not be delayed. This product report is provided for educational purpose only and may not be construed as medical advice or instruction. No action or inaction should be taken solely based on the contents of this information / product report. Readers always have to consult with the appropriate health professionals before using the product described herein. Switch Settings for the BIO MEDICI "Magnetic Stimulator"